We are almost, a few days and then will begin the comparison between Spain and Italy in the Champions League. The countdown has begun, the quarter-finals show is ready to begin. After analyzing in particular Real Madrid and Juventus, which will face Tuesday evening in Turin in the first leg, today we analyze from the tactical point of view the Barcelona and the Roma that go down on the field Wednesday at the camp Nou. 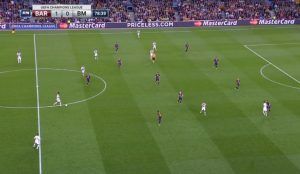 The Barcelona: With Valverde on the bench has maintained the tendency to dominate the game through a reiterated ball possession focused on destabilizing the opposing teams before finishing and finalizing the actions but alternating the classic 1-4-3-3 to an innovative 1-4-4-2 very dynamic and little tied to the original positions. 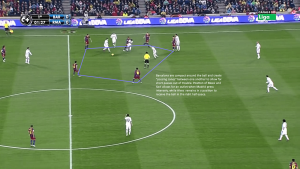 In this perspective, the most important feature was Sergi Roberto, who partly compensated for the long absence of the new purchase Dembele proving himself a modern player capable of adapting in several areas of the field with the same effectiveness as an interfingering in a defensive key and To be finished in the perspective of the offensive propensity on the right out. The expert Iniesta is further overcome by making himself able to work as a slider of the band despite the age no longer young but giving still thrust and creating situations of extra skipping the opponent or proposing effectively in the spaces Intermediate. The advanced Department, which is at 3 with Coutinho left wing, or two, is based on the offensive efficacy of Suarez both in terms of air play and as an area raptor but is at the same time focused on the constant search for put to the midfielders to work from Glue or close to the opposing area, triggering rapid combinations. The Argentine is a Brevilineo player, endowed with great agility and considerable speed in the first steps, characteristics that together with the inspiration and the Minx technique make it a dangerous player and able to change alone the fate of a race. La Roma: This season has changed tactical structure to a 1-4-3-3 codified in the play and impoverished in the workforce with the loss of Totti's inspiration and effectiveness in the finalization of Salah. The game is born from a deployment in 1-4-3-3 little adaptive and tied to a few repeated plays during the races focused on the search for the games of inspiration of players like the Shaarawy and the offensive lanes and then finish in the center Looking for the deviation in the air game or the insertion from Raptor of winning area of Dzeko. In terms of the fluidity of the manoeuvre the Giallorossi sin in quality, they are fast in the circulation of the ball but not functional to the spaces little manned by the adversaries. The strong point of this rose is the important goalkeeper Alisson, eccentric player, endowed with good breech technique, that gives the start to the offensive maneuver from the bottom and prove a good support, and at the same time responsive and efficient in the defense of its Door. Player in crescendo in this glimpse of the season is Under, young man who at the beginning of the year was seen as an alternative but now is cutting out space in the hierarchies. External offensive left-handed Brevilineo skillful in jumping the man and that has proved a good finisher and above all a decent finalizer. The numbers: the balance in the field is substantial between Spain and Italy, at least for three of the involved teams. Real Madrid between the first stages and the eighths of the final against the PSG showed high levels of danger arriving to sign 22 goals until this time. Numerically inferior in this perspective the other contenders led by the Barcelona of Valverde with 13 nets to the active followed with equal merit in this particular ranking from the Rome of Di Francesco and from Juventus of Allegri with 11 markings signed. Diametrically opposed is the situation in optics of defensive effectiveness with the Catalans who have in passive only 2 networks granted followed by Rome and Juventus with 8 and in the queue the Real surpassed 9 times by the opponents. All this summarily describes the double-faced teams as effective offensively as inefficient in containing the opponents and vice versa. The numbers do not reverse the forecasts confirming the Barcelona as the dominant player of the game refuted by an average level of ball possession equal to 59.9% per game, slightly surpassed only by the City of the former Guardiola. In this further classification detached we find the Madrid in 5th position with average 55.4%, Juventus is 12 ° with 51.8% and the Roma 13 ° with 51.7%. The comparison of the beginning of April will see opposed Juventus that can exploit its defense almost impenetrable and Real Madrid, currently better compages of the Champions for number of shots on the eight games played (152) and for development of play and finishing By Cross (214). Numerically, Roma produced 101 shots (10 °) and 135 cross (4th), Juventus 99 (12 °) and 102 (16 °) and Barcelona 94 (13 °) and 85 (19 °). But by Tuesday night the past will not count anymore, there'll be the quarter-finals to steal the scene. But above all it will be the moment of the challenge between Spain and Italy. This entry was posted in LFScouting, News and tagged Barcelona, Europe, Quarter Finals, real madrid, Scout, Spain, Tactic, The Roma. Bookmark the permalink.